The brainchild of John Roderick (ex. Western State Hurricanes, Harvey Danger), The Long Winters quickly follow-up 2002's debut, The Worst You Can Do Is Harm with 2003's When I Pretend To Fall. Less airy and more condensed than the spacious The Worst You Can Do Is Harm, When I Pretend To Fall includes an even more elaborate cast of guest vocals. Roderick's friends all lend a helping hand to help ensure his sophomore avoids any and all slumps, and makes sure he delivers an album even more moving and powerful than its predecessor. Including appearances by The Posies' Ken Stringfellow and Jon Auer, Harvey Danger's Sean Nelson, R.E.M. 's Peter Buck, Minus 5/Young Fresh Fellow's Scott McCaughey, and Death Cab for Cutie's Chris Wall, to name a few. 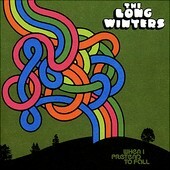 The Long Winters are yet another Seattle all-star band, and the record lives up to the hype. "Blue Diamonds" is a straight ahead indie-rockers, while "Scared Straight" is a funky, soulful dance number bed with Roderick's natural instinct to rock, the outcome being a silky, melodic, sing-along song that makes you want to shake your hips. Meanwhile, the folk-rock of "Cinnamon" proves that the multi-dimensional Roderick can mold and bend with the best of them (most of which are playing on this record). Other standouts including the beautiful "Blanket Hog", the fuzzy-rock of "Stupid", and the charged, energetic "New Girl" all paint a different picture of a very versatile artist, and line-up. Each track features a different cast of musicians, thus giving the song a different flavor, Roderick the common thread throughout, keeping the album cohesive and strong. Stable, yet fun, the controllable, uncontrolled songwriting never lets you down. I'll give it a B+. Long Winters, The: The Worst You Can Do Is Harm Longshot: Do You Know Who Your Friends Are?